When Canadian Rafting Adventures powered by Canadian Outback Rafting asked me back in December if I wanted to go on the rafting expedition of a lifetime I was stoked. Most of my trips involve tons of hiking, planning, cheap meals, and barely any time to sleep in or relax. The Tatshenshini trip was nothing like that, and I LOVED IT. I had been to the Yukon the summer before by van, it was amazing but this time we got to see areas that most people never go in their lifetime. We were going to the most remote place we had ever been as this area is only accessible by raft with limited permits available per year. Once Errin and I were all packed up and ready to go we took to the sky with Air North. The flight from Vancouver to Whitehorse is just over two hours and Air North hooked us up with a snack, two rounds of beverages, a sandwich, and most importantly a hot chocolate chip cookie. I would seriously fly with them again just for the cookie! I also can’t forget to mention the stellar views out the window the whole flight. That night we met our group, got our dry bags for our gear, and went over the logistics of the trip. The first day on the water was short but the weather was perfect, it was much warmer the first few days than I expected it to be. We got our tans on for sure. Our guide Ryan tending to our LNT fire. The great thing about traveling by raft compared to hiking/backpacking is that you can bring so much more gear! The crew was able to bring a full kitchen set up, and they seriously killed it on the food. It was the best food I have ever had on a guided trip. Also you don’t have to do much but kick back and relax on the raft. Leon cooking up a storm at one of our many camps. 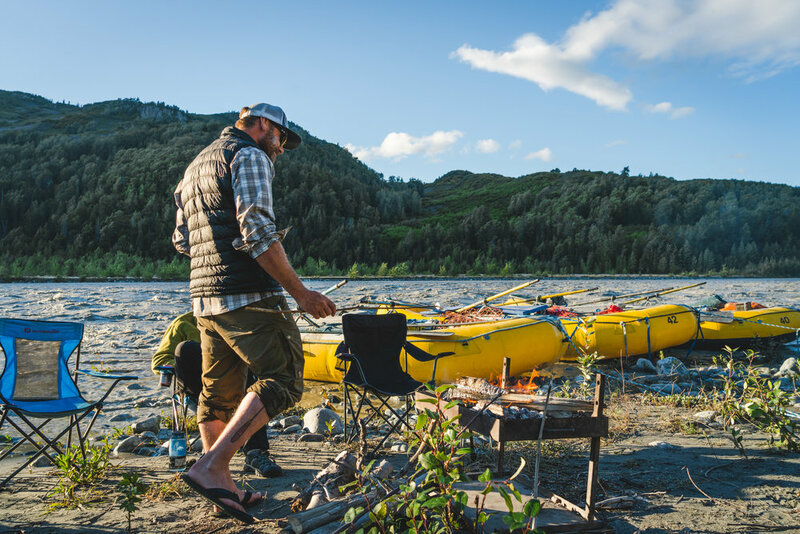 Canadian Rafting Adventures was also extremely good at following LNT guidelines, once we left camp you wouldn’t have ever known someone had camped there. When we showed up and left our campsites it was as if we were in completely untouched wilderness… Which we were, besides a footprint or two. Literally in the middle of nowhere… Somewhere along the Tatshenshini. The further we went into the 10 day expedition the more beautiful it got. On day 5 we did a beautiful day hike through tall wildflowers for a view of the river and mountains. We saw 7 grizzlies on day 6 and had epic views of multiple glaciers and mountains. By day 7 we had entered Alaska and transferred from the Tatshenshini to the Alsek River. We were sleeping beside a massive glacier and drinking margaritas from ice that was from over 10,000 years ago. If each day got more insane that would mean that our last camping spot would take the cake. It definitely took the whole freaking cake. 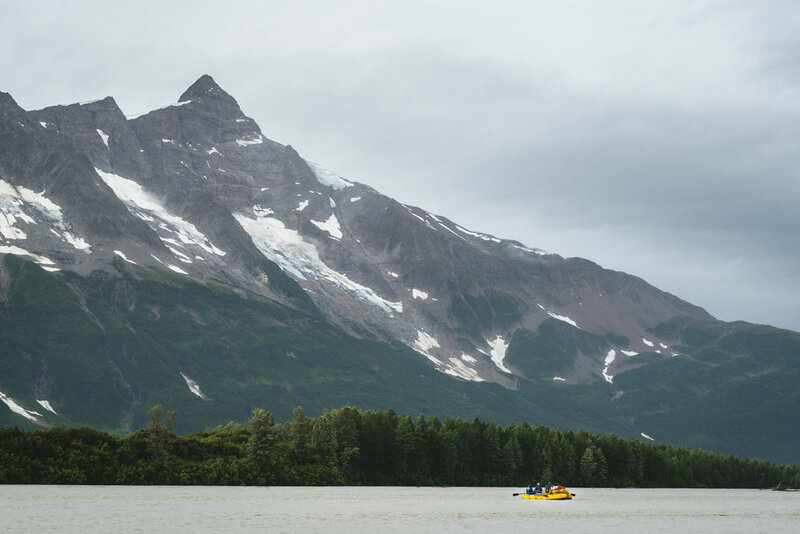 On day 8 we arrived at Alsek Lake, the crown jewel of our trip. The dramatic views of Alsek Lake. The lake is riddled with massive icebergs that are crashing, breaking, and rolling every few minutes. It’s surrounded by towering mountains and glaciers that feed the lake and one of the largest coastal mountain in the world, Mount Fairweather. Our favourite view from the whole trip was from a lookout of the lake which was about a 45 minute hike from camp. It really gave perspective to how massive the icebergs were when you see them from a higher vantage point. We spent a long time sitting up there watching the icebergs occasionally crash into each other and roll. On day 10 we woke up at 5:30 AM, ate breakfast and packed up camp. We were on the river by 7:30 AM in order to get to Dry Bay for our flight in the afternoon. The weather made me a bit worried, it was so foggy we sometimes couldn’t see the other rafts. When the visibility is limited the planes cannot land in Dry Bay because they have to land completely without instruments. When we got to Dry Bay the weather had not let up at all. We got a little worried that we would have to stay longer than planned and wait for the weather to clear. Our guides made the tough call to spend the extra money to have a bush plane fly us out to the nearest airport. Canadian Rafting Adventures and Air North completely pulled it off with ease. Unfortunately when you are out in the backcountry and in areas as remote as this the weather can be completely unpredictable. Even though a severe storm had rolled in that made it so the plane was unable to land, the crew from Canadian Rafting Adventures kept the group morale high and got us out there safe and sound. We got out of Dry Bay in a small bush-plane that was able to fly just below the fog. 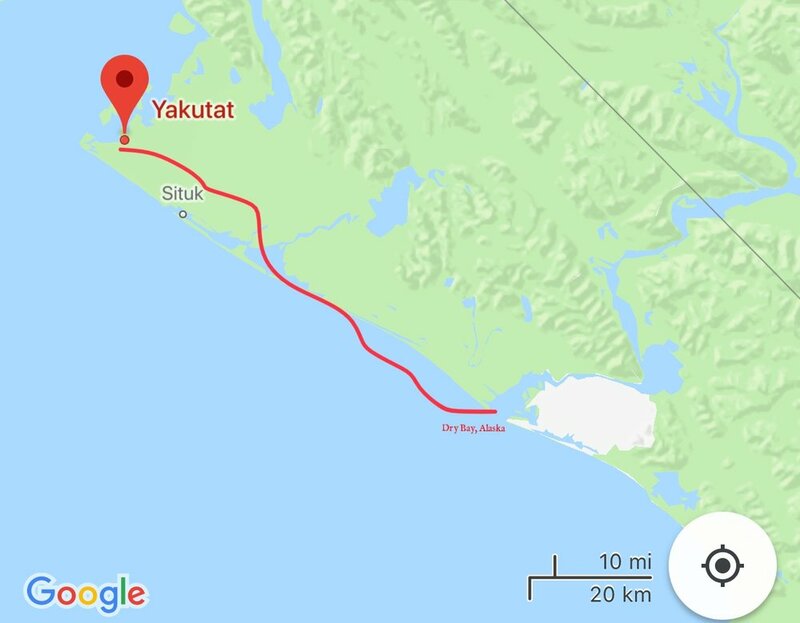 The plane brought us to Yakutat, Alaska where the amazing people at Air North were able to reroute our plan and safely bring us back to Whitehorse. The small bush-plane that was able to come to our rescue without using instruments. The route we took along the Alaskan coast so that we could meet up with our Air North plane. Our trusty and loyal steed that came to our rescue in Yakutat, Alaska. I would 100% recommend this rafting expedition to anyone who is looking for glaciers, mountains, wildlife, amazing food, a bit of relaxation and a completely isolated wilderness experience. Getting this far off the beaten path is something I will never forget and I would not have been able to get there without Canadian Rafting Adventures and Air North! Moments after we transferred from the Tatshenshini to the Alsek River. For more information on the Tatshenshini Expedition click here. 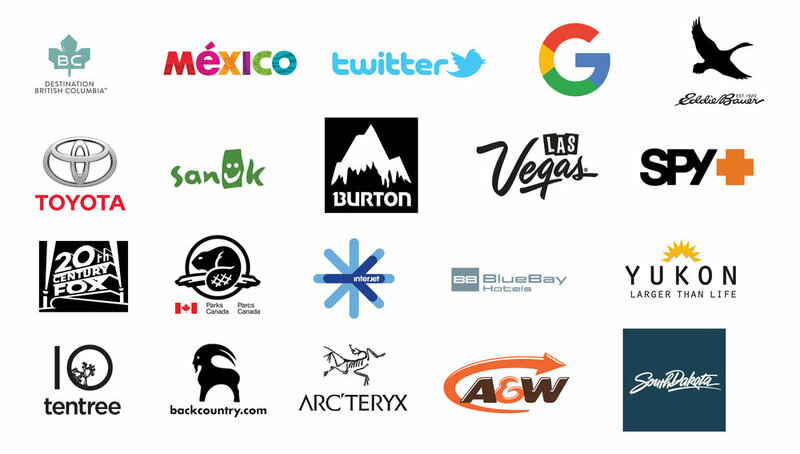 If you want to go on a white water rafting trip or a different multi-day rafting expedition check out the links below! To fly with Air North click here!